An international operation against a major drug trafficking gang has led to the arrests of 34 people in Spain, the UK and Ireland. 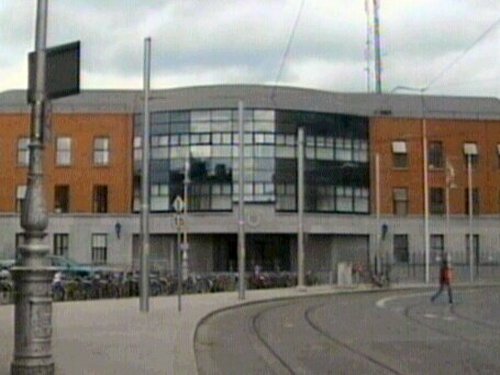 Gardaí say significant amounts of money, firearms and drugs have been seized during the operation. Two prominent figures in the Irish criminal world are among the suspects being held - Dubliner Christy Kinahan was arrested at his Spanish home this morning, while convicted drug smuggler John Cunningham was also arrested. Spanish authorities arrested 22 people arrested in Malaga and Seville this morning. Nine more people were arrested in the UK and one man in his 20s was arrested in Dublin. He is being questioned at Store Street Garda Station. Authorities have carried out 50 searches in Ireland, with dozens more homes and businesses searched in Spain and the UK. The international operation began in the three countries at 4.30am Irish time. The investigation into the activities of the Irish-led criminal gang is focused on money laundering, drug trafficking and gun crime. Gardaí said many of those arrested on the continent are Irish ex-pats who are known at home for their involvement in organised crime. They say they have 'been targeting the activities' of the gang for a considerable period of time. The gang is estimated to have assets of over €200m in businesses and property worldwide. It is believed to traffic huge quantities of cannabis and cocaine to the UK and Ireland. Minister for Justice Dermot Ahern said the arrests show that there is 'no hiding place' for criminals involved in the drug trade. 'Today's events are evidence of the determination of those involved in law enforcement, fully supported by their Governments, to take international gangs straight on', he said. Mr Ahern added that Ireland would continue to co-operate with its neighbours in such operations, as was allowed for under the Lisbon Treaty. The Minister said the resources in Ireland were such that we need the co-operation of larger neighbouring states to tackle cross-border criminal organisations. Garda Commissioner Fachtna Murphy said: 'This is an extensive and focused investigation into organised criminal activity targeting drug trafficking, money laundering and firearms crime. 'The message from today’s operation is clear: there is no hiding place for those who seek to bring misery and hurt to communities here in Ireland and abroad.